James Joyce. Leprechauns. The Blarney Stone. Shamrocks. Guinness Stout. Conor McGregor. U2. Jameson Whiskey. All things that may come to mind when someone says Ireland. But one of these things isn't originally Irish. 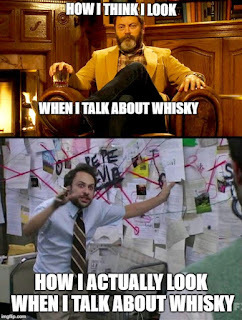 That's right, it's Jameson Whiskey. Heresy, you say? Hear me out. Jameson's founder was John Jameson, a Scot from Clackmannanshire. 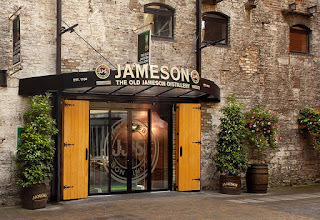 When Jameson married Margaret Haig in 1786, he moved to Dublin with his new wife to manage the Bow Street Distillery (which had been established in 1780) for Margaret's uncle. This explains the use of the year 1780 in Jameson marketing, as the Bow Street Distillery was where Jameson Irish Whiskey was born. 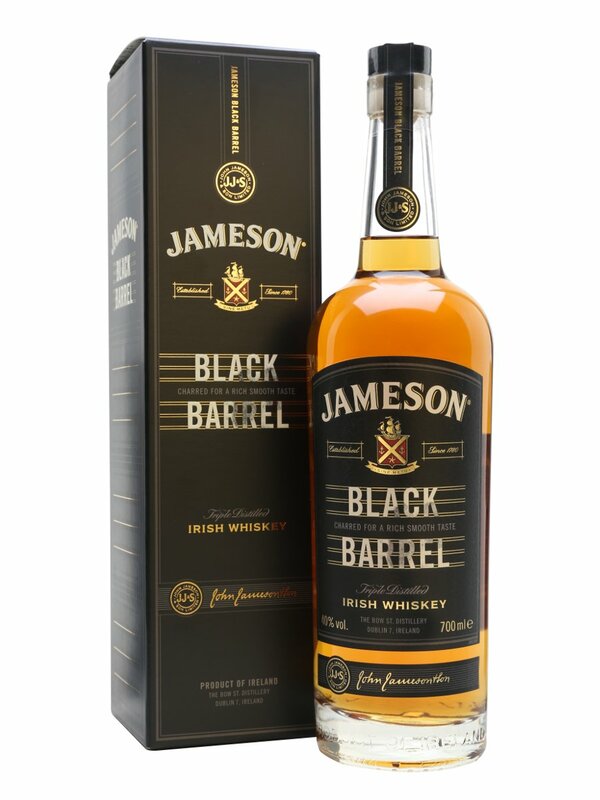 Ok, so maybe the whiskey itself has always been Irish, but the brand's founder wasn't.Today, Jameson is far and away (see what I did there?) the best-selling Irish whiskey in the world, but it was not always so. By the turn of the 19th century, Jameson's Bow Street Distillery was the second largest producer in Ireland and one of the largest in the world, producing 1,000,000 gallons annually. Whiskey was the second most popular spirit in the world after rum. By 1805 Jameson had become the world's number one whiskey. By the mid-19th century, things changed. The Irish didn't adopt the more efficient column stills as readily as the Scots, as the Irish preferred the more labour-intensive (and arguably more flavour-intensive) Single Pot Still. This led to a decline in Irish whiskey's popularity. In 1966 John Jameson and Son (the company, not the individuals) merged with Cork Distillers and John Powers to form the Irish Distillers Group. In 1976, the Dublin whiskey distilleries of Jameson in Bow Street and in John's Lane were closed following the opening of a New Midleton Distillery by Irish Distillers outside Cork. The Midleton Distillery is an enormous modern distillery in County Cork built by Irish Distillers to streamline the production of its many brands.This distillery brought an end to nearly 200 years of Jameson production in Dublin, but the Old Jameson Distillery in Bow Street is now a visitor's centre. Tourists can also visit the Midleton distillery, which is home to many other brands beside Jameson, including Green Spot, Paddy, Power's, Redbreast and Tullamore Dew. The Jameson brand was acquired by the French drinks conglomerate Pernod Ricard in 1988, when it bought Irish Distillers. TL;DR version: Re-charring casks contribute more sweetness in less time. At least, that's my simplified interpretation of it. Adding water brings out lots of brightness on the nose. Lemons, green floral notes and cinnamon are all there. Unfortunately, the palate and finish are diminished by the addition of water. Even a quarter teaspoon of water thins out the body and diminishes a lot of the complexity. It becomes all toffee and brioche; the fruitiness and spiciness all but disappear. Skip the water. At 40% ABV, it really doesn’t need it. I found adding water also added a harsh spirit note at the tail end of the finish. 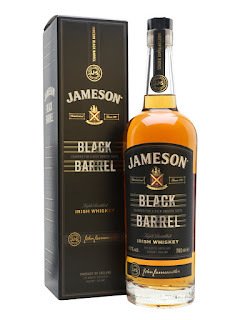 Jameson Black Barrel is one of the best deals at the LCBO. At $49, it's richer and more complex than many whiskies that cost twice as much. This won't be the last time I purchase this whiskey, though I shouldn't admit that, lest the jackbooted thugs at the LCBO raise the price, the way they did with Benromach 10 (a move I predicted here). I'll take my chances and strongly recommend you try this whiskey. If you've never tried Irish Single Pot Still, this may be the most economical way to get a feel for it before you plunk down $80 or more on Green Spot or Redbreast.